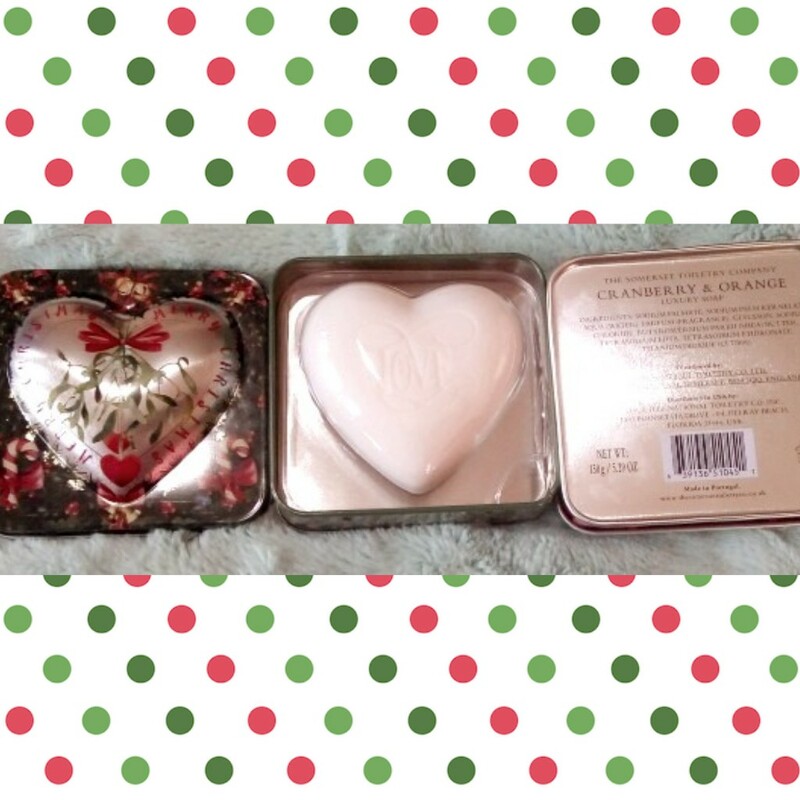 Christmas Gift Idea: Review Of Heart Shaped Christmas Soap In A Tin From The Somerset Toiletry Co. 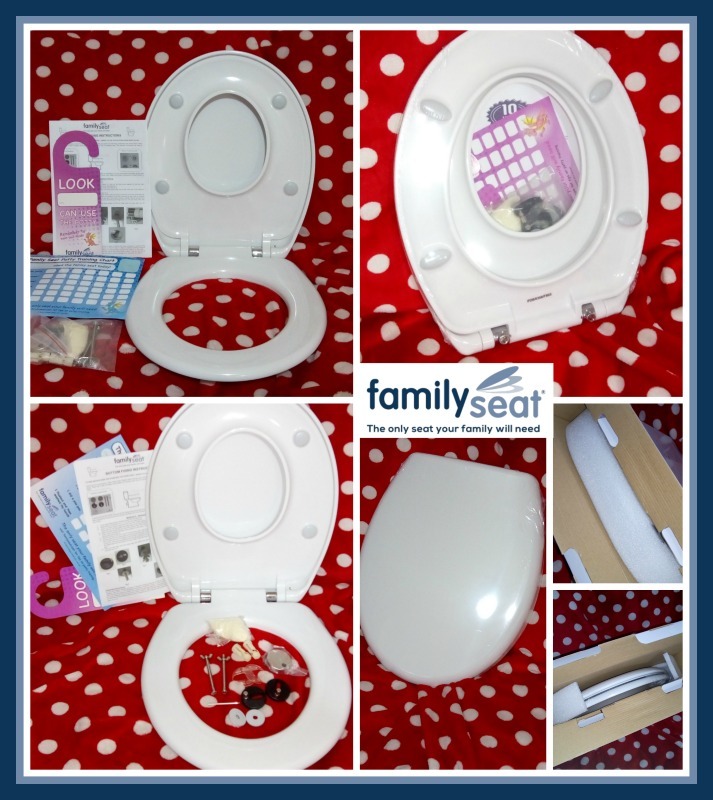 It can be hard to know what to buy people at Christmas but you can never go wrong with smellies! 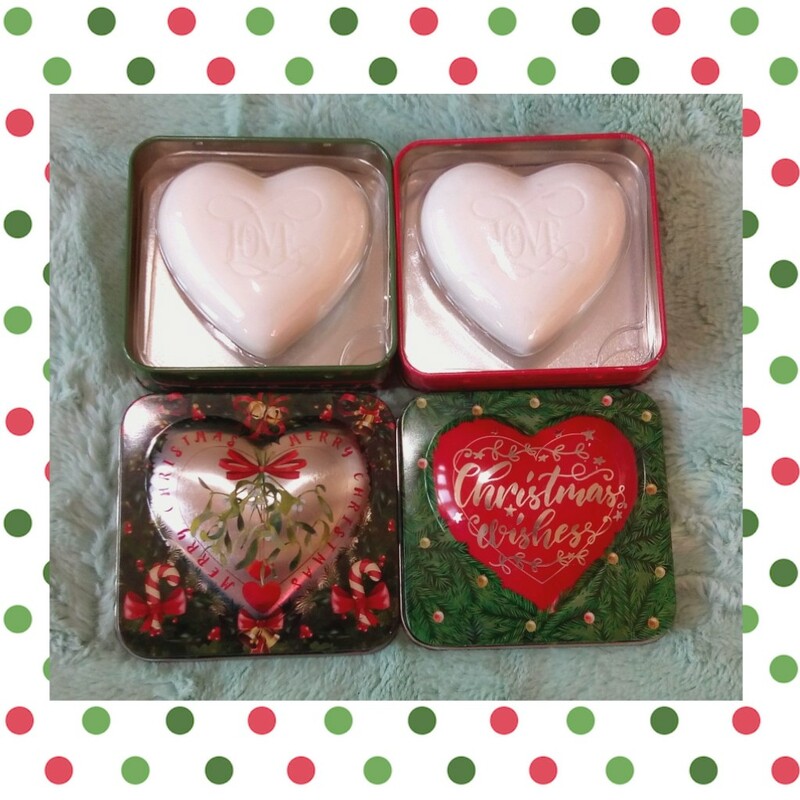 These heart shaped Cranberry and Orange fragranced soaps in a tin from The Somerset Toiletry Company would be perfect as a stocking filler for a friend or family member. 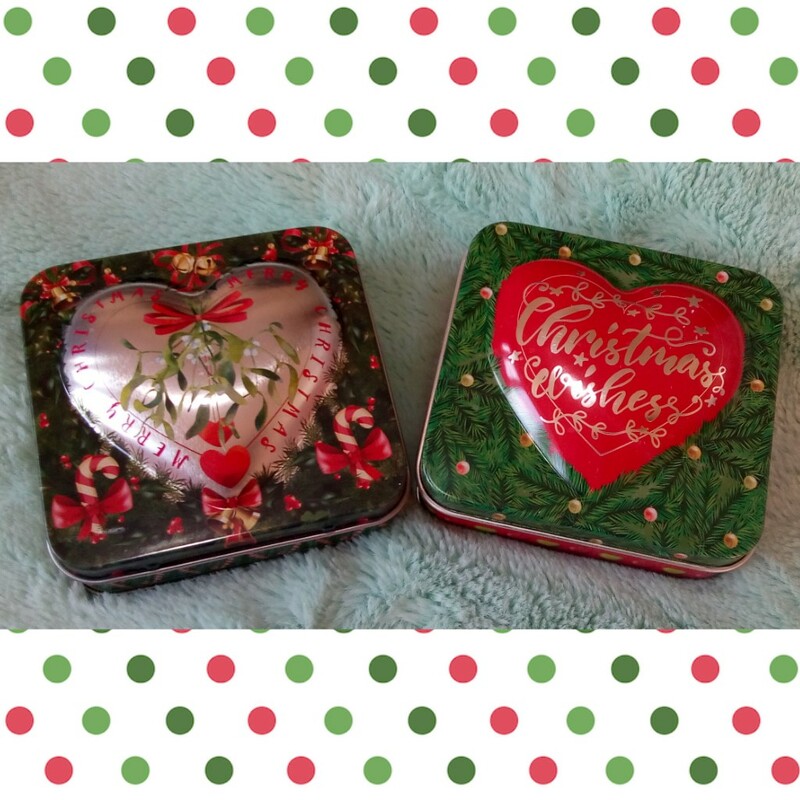 The lovely team over at The Somerset Toiletry Co. were really kind and gifted me two of their tinned festive soaps so I could feature them on my blog. I gave one to my Mum and the other one to my Sister. 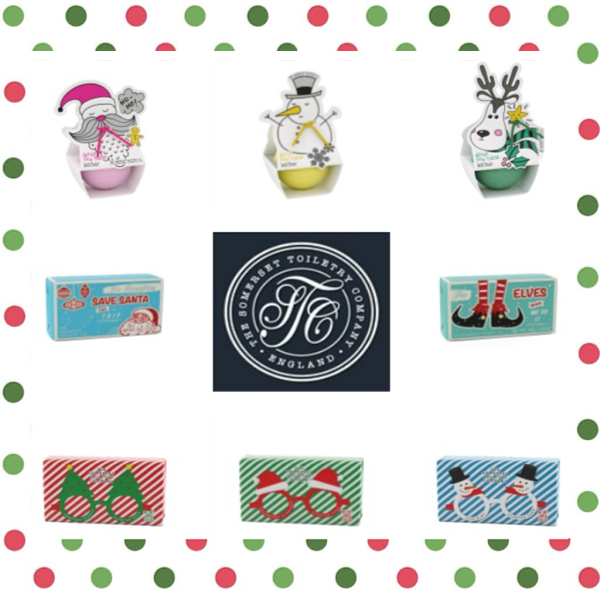 We all thought they were a fantastic Christmas Gift Idea as not only do they look and smell so festive and luxurious but also they are very affordable at just £7.95 each. The heart shaped soap has ‘Love’ etched into the top and it weighs 150g so it is very generous in size. The metal tin is a lovely Christmas keepsake and you can choose between the ‘Merry Christmas‘ or ‘Christmas Wishes‘ design. They are both so pretty! If I’m honest I’ve always thought of the quintessential scents of Christmas as being Cinnamon, Pine, and Mulled Wine but now that I’ve smelt this Cranberry and Orange fragrance this is definitely now my favourite Christmas scent! It smells gorgeous and is so festive. Before giving these soaps to my Mum and Sister I had put them on top of a bookcase in my hallway and I’d accidentally left the lid off of one of the tins. I went out one afternoon and when I returned to my house the Cranberry & Orange smell in my home was divine! The luxurious soaps are triple milled which basically means that the soap ingredients (Cranberry and Orange Fragrance, Soap and hydrating Shea Butter) have been milled three times. This results in a bar of soap which has really well combined ingredients with fragrance, soap and hydrating shea butter evenly distributed throughout it. Also the soap will be harder and longer-lasting….these are attributes that you don’t find in cheap bars of soap. As far as gifts go, this is a fantastic choice for so many people. Young or not-so-young, male or female – this heart-shaped soap will please everyone. If you would like to place an order please go to thesomersettoiletryco.co.uk/product/christmas-heart-shaped-soap/. Which tin will you go for? Let me know in the comments. Other items in The Somerset Toiletry Co. Christmas range include a Luxury ‘Naughty List’ Soap (£3.95) in retro Christmas packaging which says either ‘Be Naughty ..Save Santa The Trip! or ‘The Elves Made Me Do It’, a luxury bar of soap in festive Christmas Glasses packaging (£4.95) in 3 different fragrances/designs (Cranberry & Orange/Santa Glasses, Frosted Spruce/ Christmas Tree Glasses and Iced Mint/Snowman Glasses) and also a Happy Holidays Bath Fizzer (£4.95) which is available in 3 different festive designs/scents (Rudolph/Spiced Pear, Santa/Raspberry & Rhubarb and Snowman/Apple Pie). No products have been tested on animals. 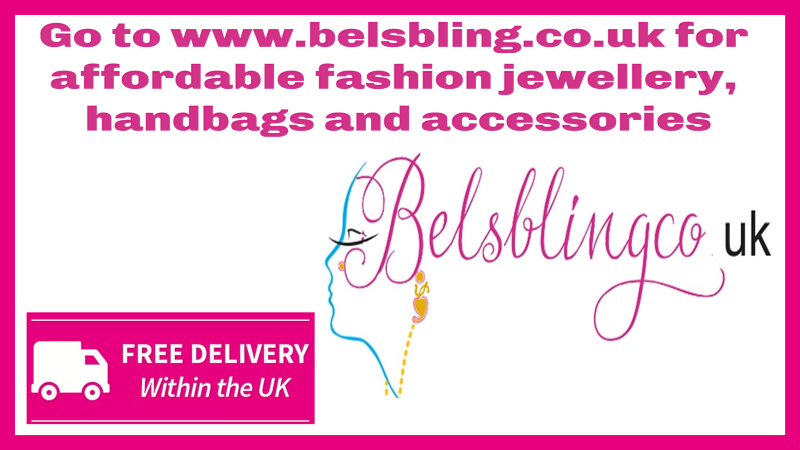 To guarantee your items will be delivered in time for Christmas please place your order with them before Midnight on Thursday 13th December for standard UK delivery at a cost of £2.50 or if you are happy to pay £5 for first class delivery you have until Midnight on Tuesday 18th December to place your order. 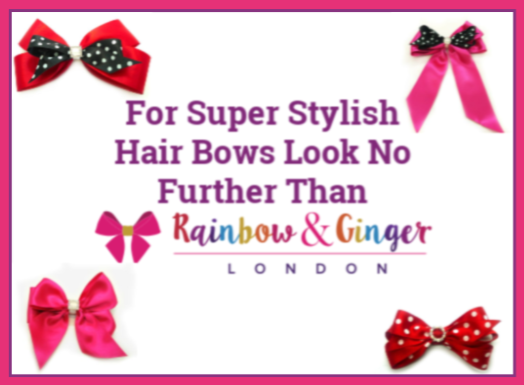 Please note that they also offer free standard UK delivery on all orders over £30. Thanks for reading my blog post. I hope it has given you some Christmas Gift Inspiration. Before you go please take a moment to stop by and follow The Somerset Toiletry Co. on social media. You can find them on Facebook, Twitter, Pinterest and Instagram. Also if you sign up to their newsletter you can get 10% off your first order. This entry was posted in Review on December 4, 2018 by admin.